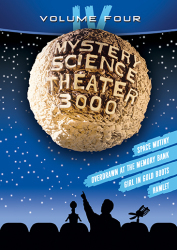 Product Note: The limited edition poster has SOLD OUT as of September 29, 2017. 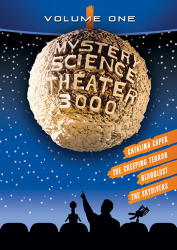 And Mystery Science Theater 3000 begat Cinematic Titanic. 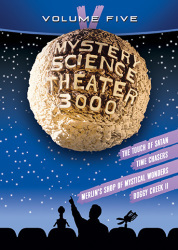 The end of MST3K did not mean the end of world-class movie riffing. 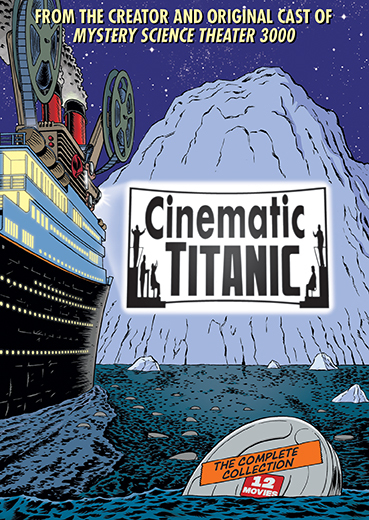 In 2007, five of the original cast/writers of MST3K – Joel Hodgson, Trace Beaulieu, J. Elvis Weinstein, Mary Jo Pehl and Frank Conniff – launched Cinematic Titanic, a leaner, hungrier leap into razor-sharp comedy built on the back of cheesy movies. 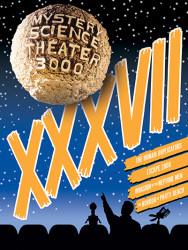 For the next six years they toured the country with a critically acclaimed live show and left millions of delighted fans in their wake. 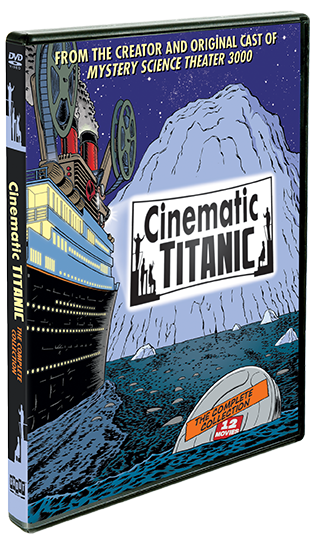 This set collects all 12 movies riffed by Cinematic Titanic, combining all their published mayhem, from the live shows to their direct-to-video releases. To MST’ies, this collection belongs on your shelf. To everyone else, this collection belongs on your shelf.